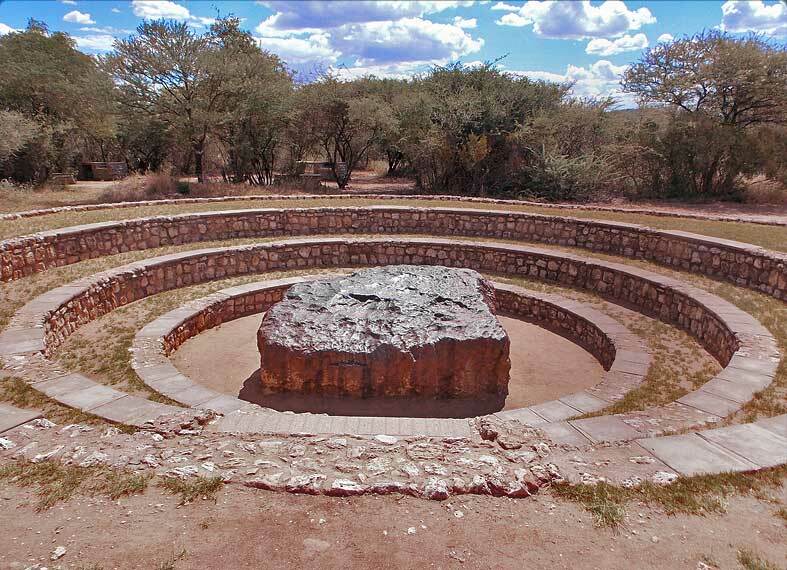 Resting where it was discovered, the Hoba meteorite is the largest space rock found so far on Earth. At approximately 60 tons it appears to have fallen 80 thousand years ago. Most large iron meteorites been moved to museums. Hoba has an amphitheater of concrete benches around it and the museum came to it. It was discovered in 1920 when it was struck by plow. It was originally estimated to be 66 tons but vandalism and weathering have reduced it in weight. Hoba is an ataxite type meteorite which means that it has a higher nickel content than most iron meteorites.